Welcome to Fridley Public Schools, an International Baccalaureate World Schools district. We are excited to welcome you and your child into our Fridley Public Schools community! Our mission is to guide students in the development of learning skills to help them reach their full potential. Fridley Public Schools offers the International Baccalaureate (IB) Programmes to all its students. The IB curriculum framework prepares students for success in college and careers with rigorous coursework through the Primary Years Programme, Middle Years Programme, Diploma Programme, and Career-related Programme. We are one of three districts in the state of Minnesota that offers the full IB continuum, from our earliest learners to high school graduation. 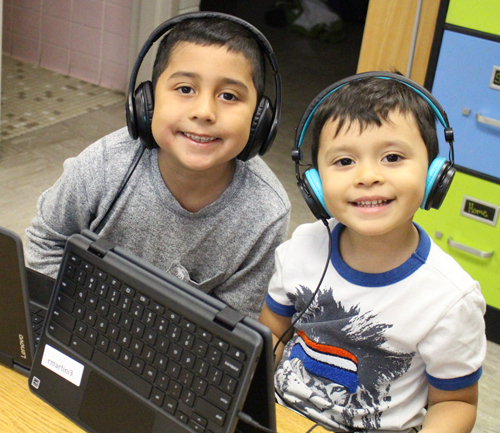 Fridley Preschool focuses on social emotional learning, mathematics, and literacy. Your child will develop a love for learning while building a solid foundation for their educational journey. Each classroom is led by a Minnesota Department of Education (MDE) licensed Early Childhood Educator, all of whom are passionate about helping children learn, and incorporate best practices in lessons and activities. Fridley Public Schools is proud to offer a preschool program that meets the highest standards of Parent Aware Minnesota’s Quality Rating and Improvement System. Morning and afternoon daycare options are available through Tiger Club at discounted rates. Each section is capped at 20 students and has a teacher and aide in each classroom to provide all students with personalized attention. Please note: Transportation is free and provided for all 4-year-old district resident children. Open enrolled students and 3-year-old students are not eligible for preschool transportation. Are you ready to enroll your child in Fridley Preschool? Visit https://fridley.ce.eleyo.com to fill out an application. 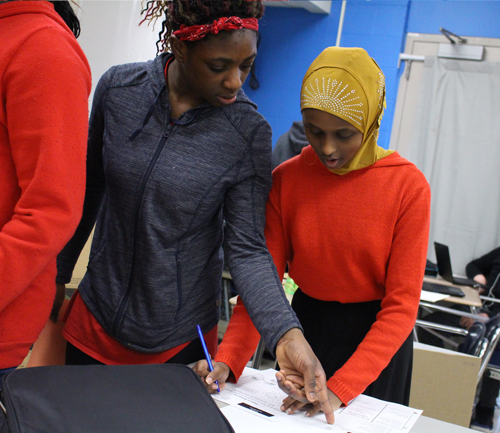 Please note: To complete the registration process, you will need to bring the required documents (listed at the bottom of the page) to the Fridley Community Center. Visit the Enrollment Office at 6085 7th Street NE, Fridley, 55432. Staff will assist you in registering and completing the online application. To complete the registration process, you will need to bring the required documents listed at the bottom of the page with you when registering. Click here to begin registration! Please note: To complete the registration process, you will need to bring the required documents (listed at the bottom of the page) to the Education Center. Copies will be made of each document and originals returned to you. If registering online, please be sure to bring these documents to the Enrollment Office located in the Fridley Community Center. Feel free to contact Lori O'Dowd, Enrollment Coordinator with questions at 763-502-5081.